Working with local law enforcement and health care facilities to provide an opportunity to dispose of unwanted prescription medications. Working with local businesses and community-based organizations to promote safe storage of prescription medications. Local collaborations include realtors, elderly care facilities, funeral homes, and emergency medical services. Informing parents, educators, coaches and all members of a youth’s social network about current trends in prescription drug use, what signs to look for in youth, and the dangers of using these drugs without a doctor's prescription or not as directed. Promoting use of Maine's Prescription Drug Monitoring Program. Partnering with local schools and businesses to have strong substance use policies related to prescription drugs. 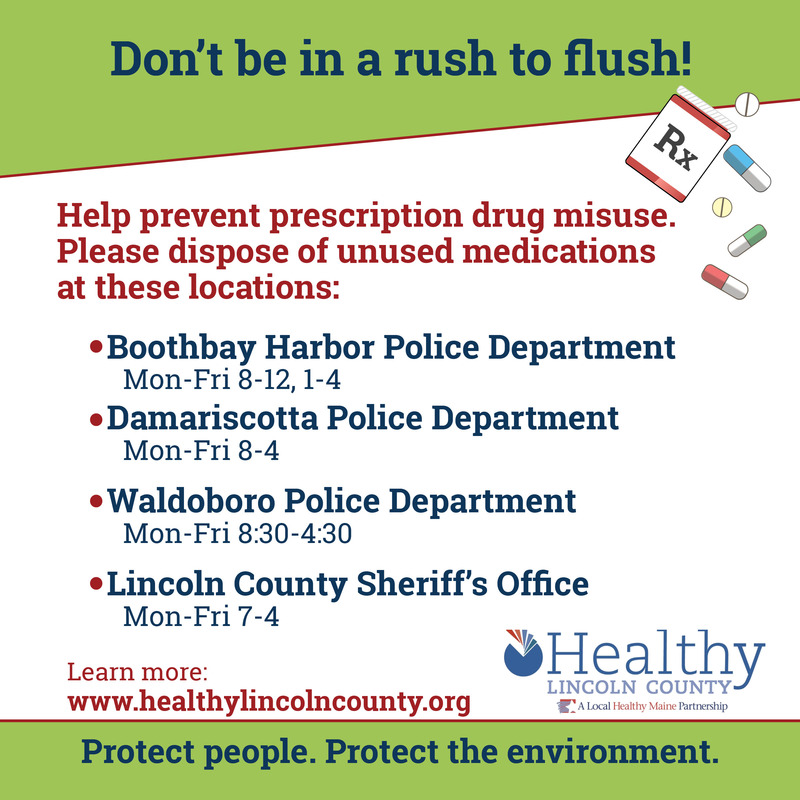 For more information about how Healthy Lincoln County addresses and prevents prescription drug misuse, please contact us here. How can parents help prevent underage drinking and drug use?